For homeschoolers, a more exciting sign of spring than blooming flowers, warmer sunshine, and the arrival of daylight saving time is graduation planning. Homeschool parents and graduation often go together like anxiety and apprehension. Our minds fill with so many thoughts from the practical logistics of the day to the whispers that you might be “less than” and have passed that failure on to your graduate. Do these thoughts plague you? If so, take courage because every other homeschool parent wrestles with them as well! What about a graduation ceremony? Homeschool groups, co-ops, and state organizations have formal graduation ceremonies. Some families have a special celebration with family members and friends. Some, as in the case of my youngest, just move onto the next phase of life. Don’t worry about what others are doing or what is considered tradition. Have a family discussion about how to celebrate, or not, this life transition. Let your graduate make the call. Our society, even the homeschool society, assumes our grads are going to college. But, how about our kids who are not going to college? There are many reasons a high school graduate may not head directly to college, or even go to college at all. Is a plan in place? Have you talked with your teen about the non-college options? Are you ready to answer the question about why college isn’t in the future plans? My youngest finished high school in 2000. Not only was my son making future decisions, but so was I. What would I do now that I was no longer homeschooling? I chose to remain in the homeschool community to help parents who are starting their homeschool journey. I also helped homeschool my grandkiddos. You will have many options if you look around for them. Yes, life will be different. You are entering a new season of your life. Talk with God about where he wants you to go next. He really will meet you in the moment. Spring is a time to look forward. Look forward to flowers, sunshine, daylight saving time (well, maybe not so much), and graduation. Make the most of this season of change. Celebrate the journey behind you and anticipate the one ahead. Enjoy every minute as you look forward to the new path God has for your child . . . and you. This article was originally published on our Homeschool Launch Blog. Sign up for the Teach Them Diligently newsletter to receive more great articles! Read our Blog, join TTD365, follow on Facebook and Instagram, and sign up to attend one of our homeschool events! Community is the secret ingredient that can take your home school from good to GR-R-R-REAT!!!! Homeschoolers teach their children themselves for a wide variety of reasons: academic, religious, social, etc. But one thing we all have in common is the belief that parents can be the best educators for their own children. No other teacher loves your children as much as you do. No other teacher knows your children’s unique learning needs as well as you do. Who better to teach your children? So we teach our own children…sometimes at home, sometimes in the car, sometimes at the library, sometimes at the museum. 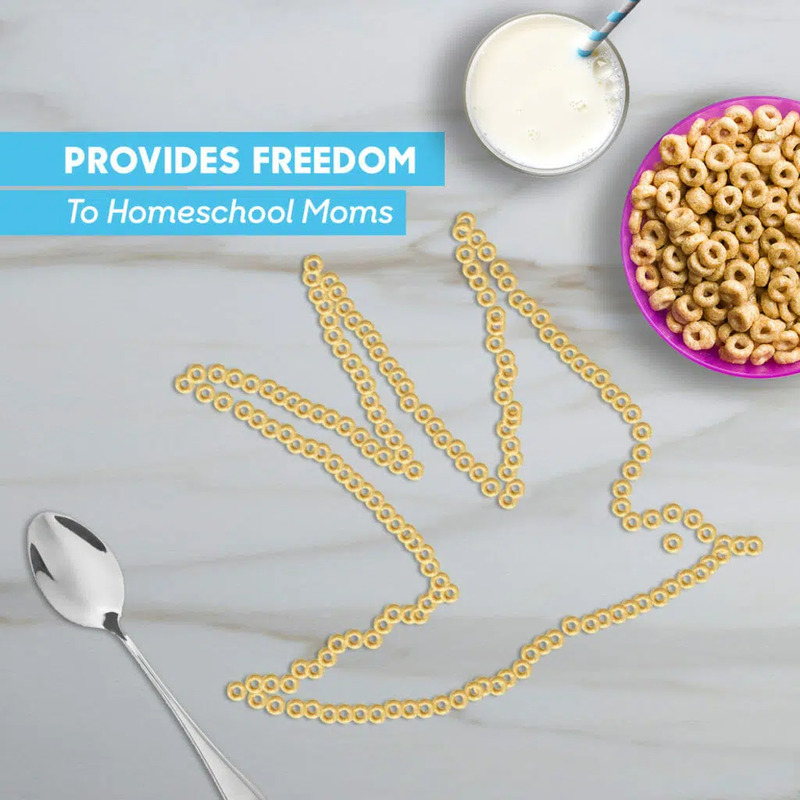 We homeschool at home, but that doesn’t mean we have to homeschool alone. Teaching your children at home and meeting together with other homeschoolers to share the joys and griefs, wisdom and insight, make this already rich journey even richer. Rugged, individualistic homeschooling cannot produce the multitude of benefits that homeschooling together can. It will be better in community. It will be better for your kids. It will be better for you. Christians and homeschoolers need community. As children of God we have a one-on-one relationship with Him, but we are also called to live our lives in community with other believers, to share our unique gifts and strengths with others within the body of Christ. In fact, we cannot fully obey many of God’s commands if we are not in community! So too as parents we homeschool our children ourselves but need the help and support of a like-minded and committed community, once again because we all have different gifts and strengths. In a community, parents new to homeschooling build relationships with experienced homeschoolers who can offer advice and compassion. Students build lasting relationships with their peers. This creates a safe place for practicing speaking skills and discussing big ideas. Students also encourage one another to meet high academic expectations. Young children enjoy learning in a group setting. They get to play games with the memory work and cooperate on science projects. They have the opportunity to learn to take turns speaking and practicing “loving their neighbor” by listening when their peer speaks or by waiting their turn. A cord of three strands is not easily broken. If we were to continue reading in Ecclesiastes, we would learn that a cord of three strands is not easily broken. Classical Conversations has three strands that undergird everything we do: Classical, Christian and Community. We use the classical model of teaching that has been proven over thousands of years. Our curriculum, policies and practices are all informed by Scripture and a biblical worldview. Finally, more than 2,500 local CC communities are the foundation for our global community of more than 50,000 families in all 50 states and 22 foreign countries. Students and parents learn best together. Classical Conversations communities meet once a week during the school year. Trained parent-tutors model skills and facilitate activities that give students—and parents—opportunities to practice these skills the other four days of the week. A CC community provides parents and students with encouragement, fellowship and accountability. Community helps teens build strong, positive friendships. Particularly during the middle and high school years, the feeling of belonging to a group is very important to students. Because we have groups of no more than 12, they get to know each other and form a close, supportive group. Our Challenge program for teens is designed to give students a close-knit group of friends. They go through mock trial, debates, presentations, and other challenging activities together, sharpening their presentation and debate skills against each other—something they just can’t do on their own. Homeschooling parents need community too. Parents enjoy the community, too. They enjoy time to share ideas with other parents at lunch and having experienced homeschooling parents available to discuss challenges. Many parents find the support they need to keep homeschooling through tough times. Looking for a homeschool community to share this exciting journey with? Visit Classical Conversations to begin the journey! As we dive deeper into an age of technology, it is encouraging to see how technology can be used for good in the education sector. Though it’s difficult to track, iNACOL estimates there are millions of students across the U.S. who use supplemental online learning and hundreds of thousands of students who attend a full-time online school. Supplemental online classes allow students to catch up on missed work or go ahead in areas of interest, and online schools provide endless opportunities for students with unique lifestyles or complex family schedules. Online learning benefits many students across the country and around the world. To learn more about these benefits, we asked two students at Alpha Omega Academy, the accredited online school of Alpha Omega Publications, how online learning opens doors for them. Online learning opens doors…to travel. Malorie Lucas is a 6th grade student who travels around the country with her family in a fifth wheel trailer. They usually reside in Louisiana, but the family has traveled all over the United States. Malorie’s favorite place she’s visited is Lake Jackson, Texas, not far from the Gulf Coast. Going to an online school has allowed her to easily balance school with travel because her curriculum all comes with her easily on her laptop! Malorie enjoys science because it’s interesting and fun, although she admits it can occasionally be difficult to find the space for everything she needs for science projects. 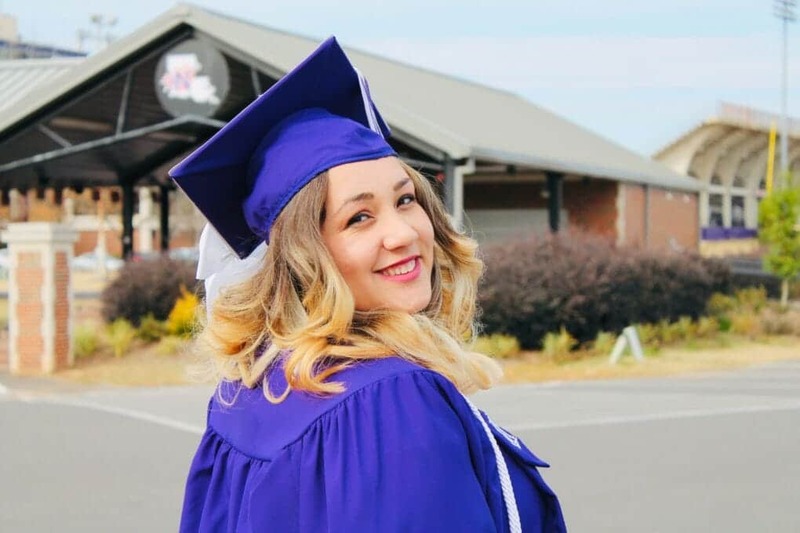 Overall though, online learning has opened the door for her to do her school when and where she wants loves, and she loves that that her online school allows her to see the U.S. with her family and visit new places. Online learning opens doors…to achieve dreams. 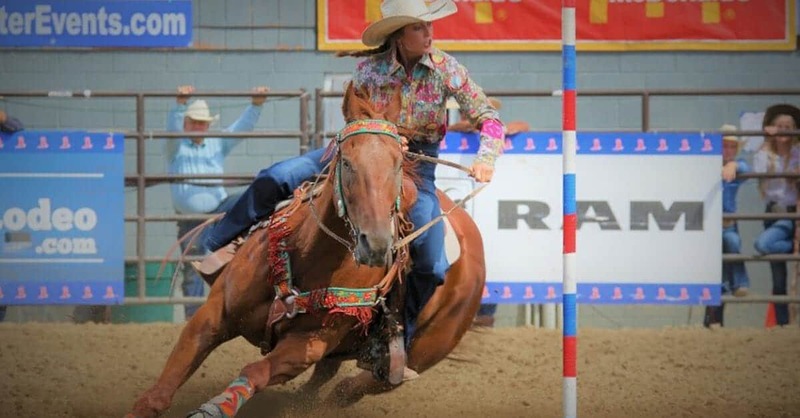 Annabelle Hampton is a barrel racer from Arizona. She practices 3-4 hours every day to prepare for rodeos, which she participates in almost every weekend. A senior at Alpha Omega Academy, Annabelle she enjoys math because she views the problems like puzzles that need solving. 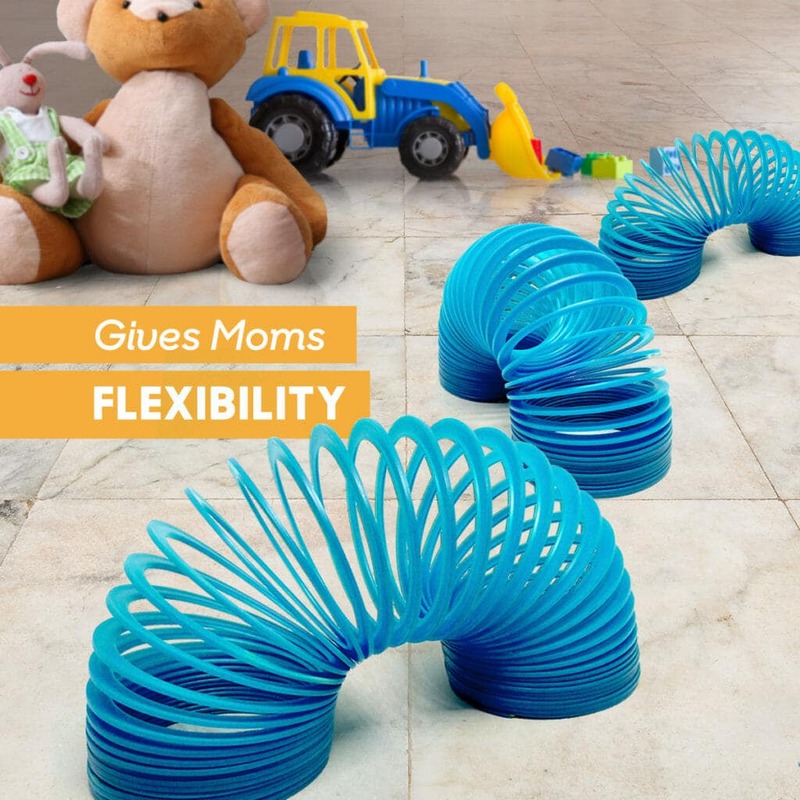 She loves her online school because of the flexible schedule. She can work ahead on her schoolwork, so she can take days off when traveling to rodeos. Annabelle got into barrel racing at the age of nine when she started riding her neighbor’s horses and fell in love. She now competes in pole bending, goat tying, and breakaway roping. She was also named the Arizona High School Rodeo Queen. Is it worth it? The value of Christian Education. Every semester students walk into my office and ask for financial help. The value proposition of higher education by and large is under question in many circles. Within the biblical worldview, there seem to be two competing ideas. The first is an aversion to debt. The second is a hope that we can better our lives through learning and education according to biblical principles. In today’s culture, these seem to be in conflict. Is Christian Higher Education worth it? What could possibly make this large expense valuable enough to justify the investment? Christian Education is worth it! It can accomplish what no other form of education can – connecting a person to the soul as well as the mind. This may not speak to the outcomes-focused world we live in. The world can teach, train, and equip a student for a job. The world fails, however, to give a satisfying answer to the question of why it is important to be taught, trained and equipped for a job in the first place. Christian Education enables a student to contribute to a cause that they are passionate about. God has designed within us a need to dedicate our lives to something that is bigger than the lives we dedicate. Revelation 12:11 says, “They overcame him because of the blood of the Lamb, and because of the word of their testimony, and they did not love their lives, even when faced with death” [NASB 95 update]. While, contextually, this talks about believers overcoming the enemy of their souls, the Devil, it is not stretching the text to point out that this verse does show us that there are causes, namely the glory and honor of God, that are worth our lives. A student may become a success in business, the arts, or athletics. They may even become prestigious as a doctor, or nurse, or as a counselor. Sadly though, if what a student dedicates her life to, does not outlast her life, how can that be seen as an investment and not merely a short-lived transaction? We have the opportunity, as Christian educators, to teach our students how to invest in the kingdom that will last for eternity. We can mobilize them to affect the eternal fate of souls. Christian Education is worth it because Christian Education does provide a fully orbed educational gateway that propels students into opportunities that would not be available to them otherwise. Christian Education does provide for economic stability every bit as well as secular education. 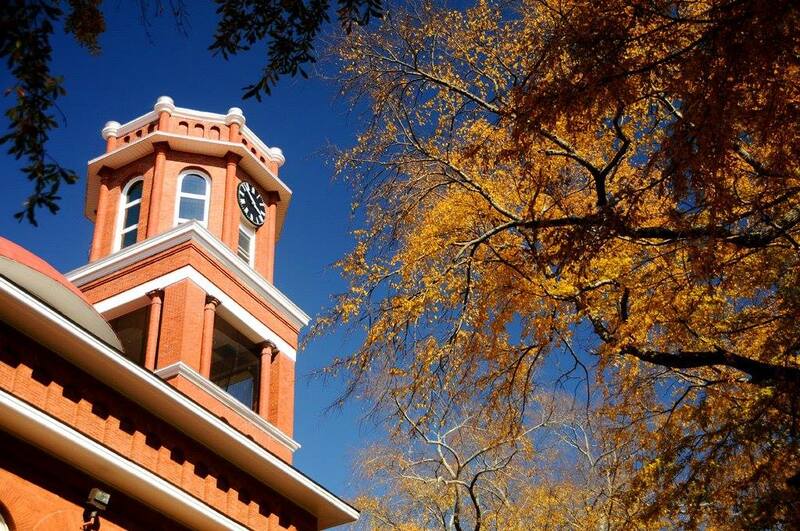 The Council on Christian Colleges and Universities commissioned a study in March of 2018 that showed, in part, that Christian Higher Education pumps over $60 billion into the national economy each year. USA Today, in an article in 2017, says, “College graduates, on average, earned 56% more than high school grads in 2015, according to data compiled by the Economic Policy Institute. That was up from 51% in 1999 and is the largest such gap in EPI’s figures dating to 1973.” The article says that the pay gap between all college graduates and those without college degrees is at its widest point ever. 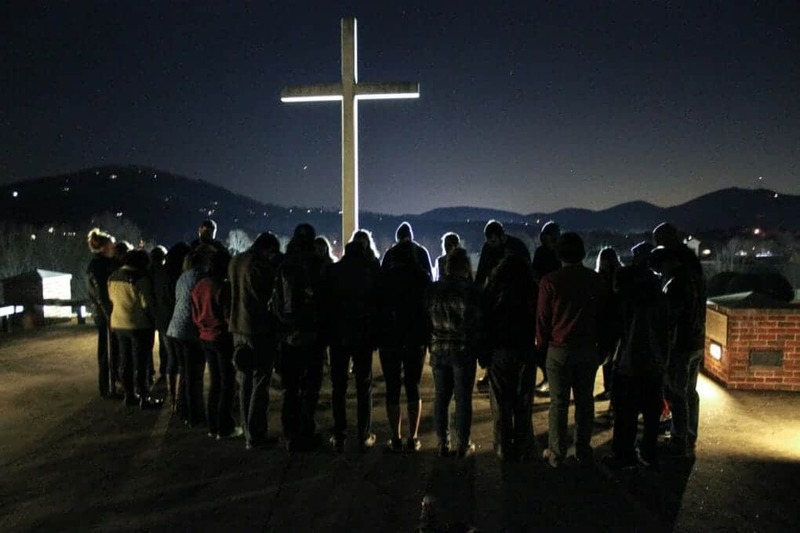 While these statistics are for all colleges, secular and Christian, they affirm the idea that students at Christian colleges are in no way at a disadvantage in the job market. In short, yes, it is worth it to join with hundreds of thousands of students and families who are in Christian colleges and universities. Together, we can change the world for Him who gave His life for it! PREPARING OUR CHILDREN FOR LIFE AFTER HIGH SCHOOL — AND WHAT DOES THAT HAVE TO DO WITH CHRISTMAS ANYWAY? Responsibility – by doing chores or summer jobs, students learn that they are accountable to others. This also helps build stronger family bonds as everyone pitches in to get things done. Time management and learning how to say, “No,” in order to balance a schedule. Sometimes that means saying no to ‘good’ things in order that a greater ‘good’ can be accomplished. Appreciation for what they have earned instead of contempt for what has been “handed” to them. We all remember how much more we valued the things we purchased with our own money – it is a gratifying experience and makes one grateful for the blessings in life. Work helps students to recognize and develop their strengths. Budgeting – creating a budget with our students will teach them about the reality of debt and loans – looking at long-term implications and learning to be a good steward of what God entrusts to us. Taking responsibility for financial transactions and focusing on saving up for large ticket items, where practical, are good ways to practice skills learned in consumer math type courses. Finally, living these principals out in the real world, such as shopping for the best deal and knowing when to say no to a particular purchase, enables our children to avoid possible debt traps. Management also encompasses budgeting time in certain allotments, scheduling work/school/recreation opportunities and learning balance across these areas. Obviously, all this must be done in light of prioritizing God and family above all else. Addressing social issues together from a Biblical perspective. This mindset assists in supporting logical argumentation and learning to support opinions with facts. A Biblical worldview incorporates logical reasoning with the truth of God’s Word to form a complete understanding of our world. Having your child make the necessary phone calls and inquiry through various sources. Having them write the letters to search and apply for admission and scholarships. 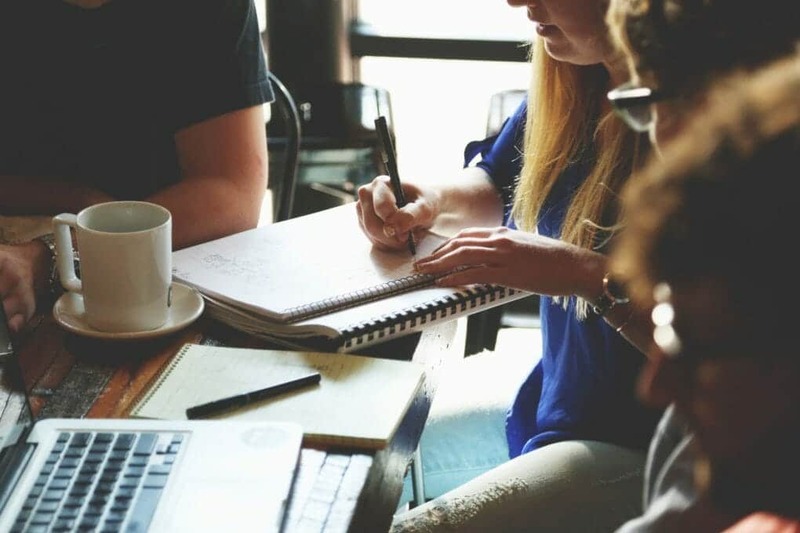 Making the research of college and majors a project and have them use the critical thinking skills and research capabilities you have instilled in them to complete the work. This can go a long way toward narrowing your list of colleges to consider and determine how much your child will need to save toward college expenses. Praying with your child for wisdom and guidance throughout the process. When we allow students to be fully involved in the admissions process, we give them an opportunity to become invested in their education. 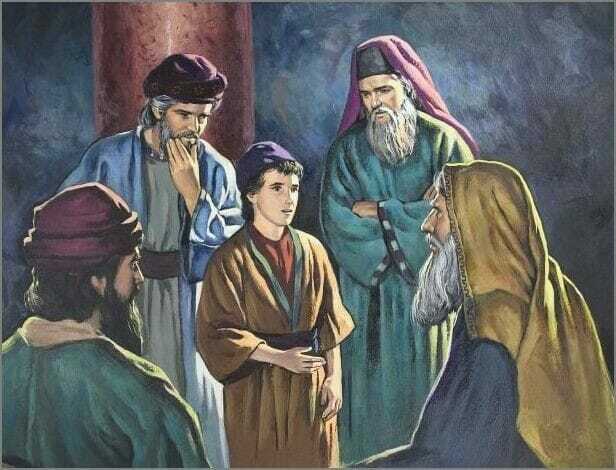 Jesus had a teachable heart, that’s why he spent three days in the temple questioning the scribes and Pharisees. The Bible makes it plain that inquiry is a spiritual pursuit, so it is a natural progression for our children to seek guidance. So, what does preparing our students for the future have to do with Christmas? As parents, we want to give our children good gifts, and this Christmas, one of the best gift parents can give their children is a good foundation on which to build their future. Register to attend the Teach Them Diligently Homeschool College Fair at one of the 2019 spring events and reserve a meeting time to connect with Erskine and other sponsoring institutions whom will answer your questions, give you advice, and provide information about their college to your students. As a busy mom, your time is limited. You’ve become a pro at multitasking, but sometimes there aren’t enough hours in a day. Abeka Academy could be a lifesaver for you. Abeka Academy is a homeschool program with video lessons taught by our master teachers. This product provides all the benefits of a Christian education, without the burden of developing and teaching each lesson yourself. All you have to do is select a full-grade enrollment (link: https://www.abeka.com/Search.aspx#stq=&waysteach=ABA) and decide if you’d prefer to purchase the book package to go along with your tuition—or if you’ll obtain the necessary texts separately. You’ll immediately receive an email link to redeem your enrollment. From there, you begin exploring the easy-to-use dashboard, customize your calendar, keep track of lesson plans, and give your kids their daily assignments. Abeka Academy is a great homeschool choice for K5–12th grade because it provides your child with a college preparatory, traditional, structured education led by experienced Christian school teachers. Select the fully accredited option at no additional charge, or choose independent study if added flexibility works better for your child. When you choose the accredited option, Abeka provides you with the official report cards and transcripts whenever you need them. 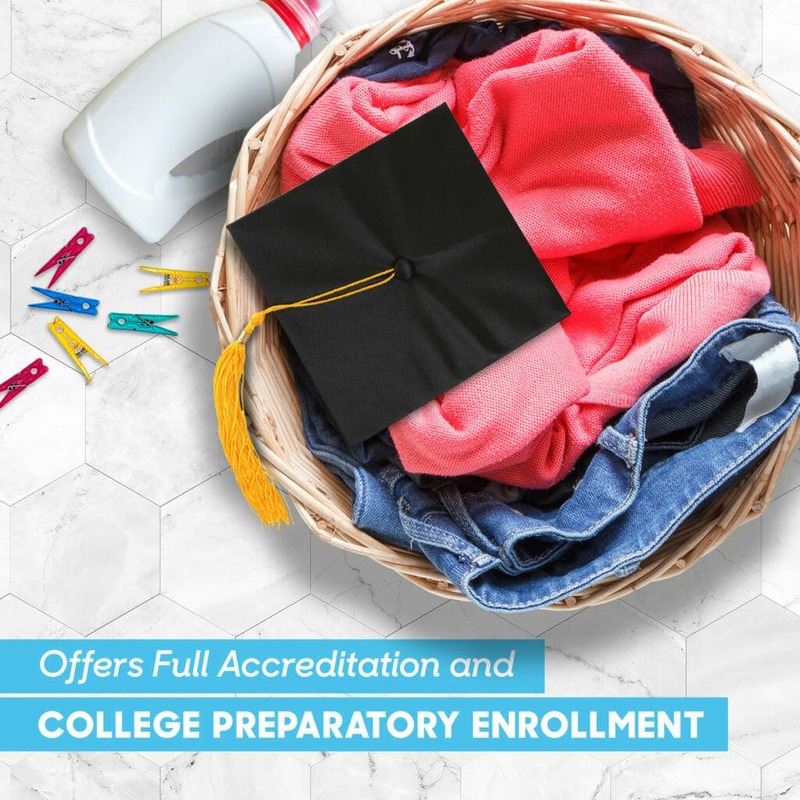 These are crucial to the college application process and only available to accredited homeschool programs. 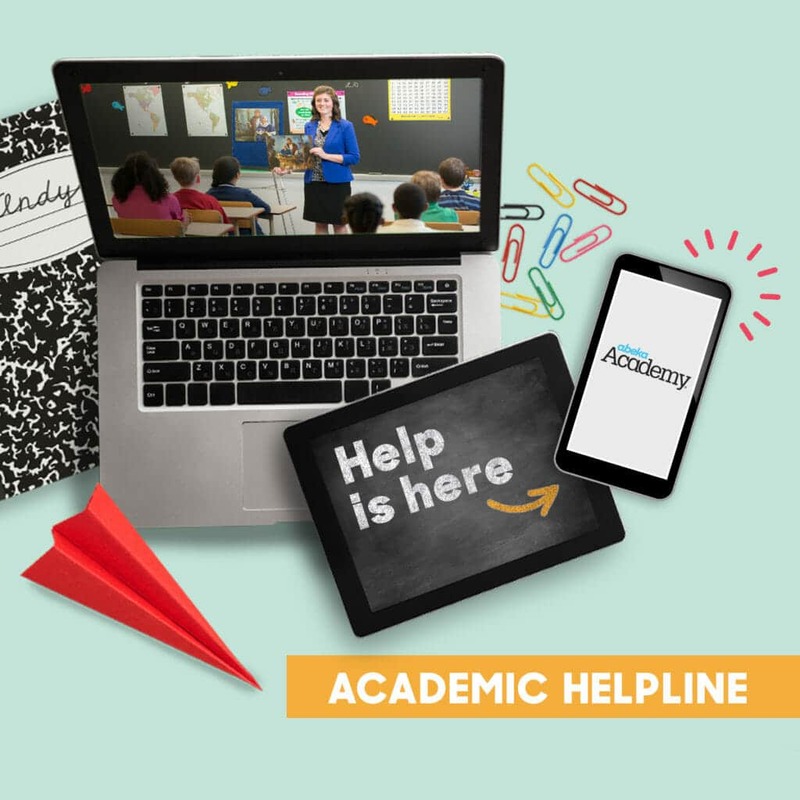 If your child ever has questions about a subject or just needs some extra help learning a concept or skill, call our Abeka Academy helpline. A qualified academic advisor can answer your questions. You’ll even be able to log into a virtual chalkboard so you can see how your advisor diagrams a sentence or solves a problem in real time. According to research, the lowest (link: https://www.privateschoolreview.com/tuition-stats/private-school-cost-by-state) cost of sending your child to a private school per year is $4,209. Abeka Academy (link: http://www.abeka.com/Homeschool/Products/AbekaAcademy/?gclid=EAIaIQobChMI04fK_7yR2QIV1FuGCh3T4QprEAAYASAAEgKHlfD_BwE) offers the exact same curriculum for less than half the price per year. It’s hard to argue with an affordable education that allows your children to learn at home. 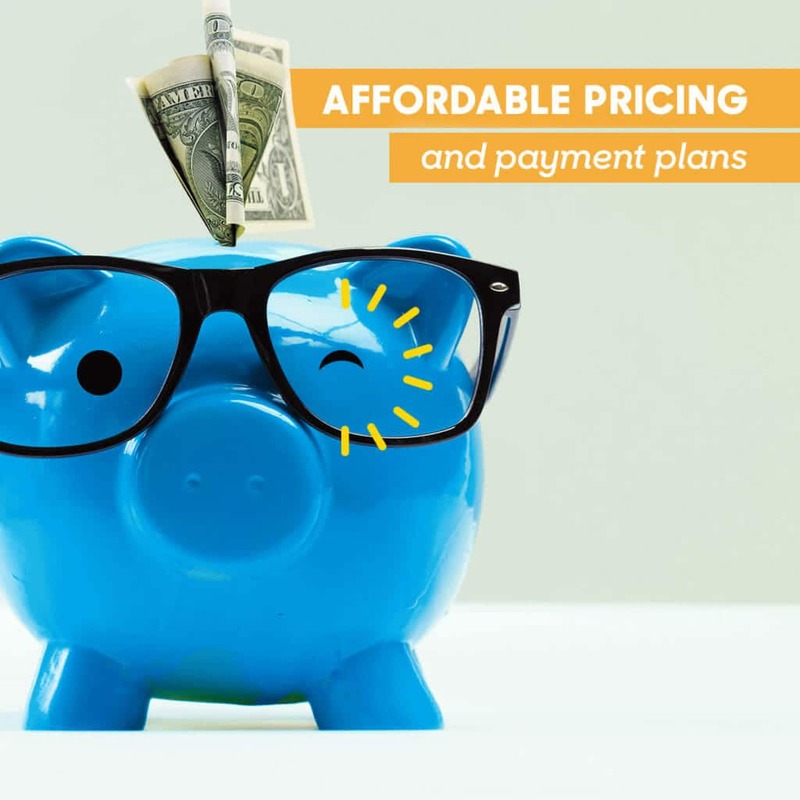 Abeka also offers flexible payment (link: http://www.abeka.com/AbekaAcademy/Pricing.aspx) plans to keep costs manageable for every family. 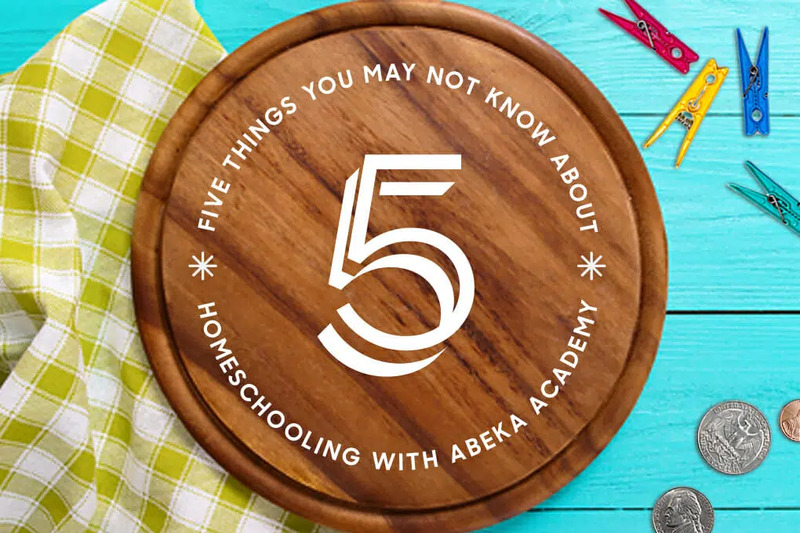 Abeka Academy offers homeschool moms the ability to have a full-time teacher on site every single day, in the form of video-streaming or pre-recorded DVDs. But if you’re not ready to go totally digital with your child’s curriculum, our FlexTeach (Link: http://www.abeka.com/HomeSchool/Products/FlexTeach) approach gives you the ability to pick and choose which subjects you’d prefer be taught by a veteran Christian School teacher. For example, if you’re looking forward to teaching English and History, but would rather have trained teachers on deck for Chemistry or Algebra, no problem. You can choose a single-subject enrollment for any particular middle school or high school course. If you only want a few hours of video lessons for extra review or labs, you can do that, too. No child is the same, so we don’t expect every student to follow the same, identical path. You get to choose what works best for your child. For more great articles and more homeschooling information be sure to check out the Teach Them Diligently Blog. Sign up for the newsletter to receive more great articles! Journalism, you probably have some pretty set ideas of what it is, and why you can’t teach it as a homeschool class. Perhaps you think journalists must write for a student newspaper in junior high or high school. You know there must be follow up through a college major in journalism or communications. Then, your mind goes on to requisite internships during and after college. Frances Schaffer once said Christians need to take back several areas of our culture. One of those areas is journalism. It may seem an overwhelming challenge to teach journalism — especially if you don’t have a way to create a student newspaper. However, if you accept the challenge, you may train the next David Brinkley or William Buckley, Jr.
Let’s follow Frances Schaffer’s call and send Christian journalists from our homeschools into the publishing world. News writing involves many of the skills you are already covering in the subjects you are teaching. Writing skills: Did you know a journalist needs practice in all areas of writing, including poetry and fiction? Continue to teach all types of writing during your child’s academic career. Editing skills: News reporting requires clear communication. To do that, each reporter needs to be able to do more than recognize grammar and spelling errors. A good exercise for editing is to take a newspaper or magazine article as well as blog or web post and have your student edit it. 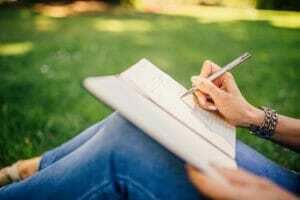 Can your writer assess whether thoughts are stated clearly? Reading an article aloud is a tried and true way to catch both grammar and syntax errors. Does your writer do a good job of fact-checking and tracking sources? Good writers need all these skills. Deadlines: As homeschoolers, it is easy to let deadlines slip due to family events, illness, or a championship soccer game. A news reporter never has that option. Deadlines are imperative, especially in this age of instant access to news. Give your student various deadlines: one week, 24 hours, even 90 minutes. Continue to help and encourage the best work possible. Research: A journalist often writes about more than immediate information. Background information is often needed to fill in or flesh out a story. Efficient research skills save time and effort. Interview skills: Talking to a stranger is hard. Your student will need to learn this skill. It’s more than just casual conversation, though. Asking clear and relevant questions is important. In addition to asking the questions, a news reporter must take quick, clear, and accurate notes. Interviewing can begin with a neighbor, relative, or a church friend. Current events: A good journalist knows what’s going on in the world, nation, and neighborhood. 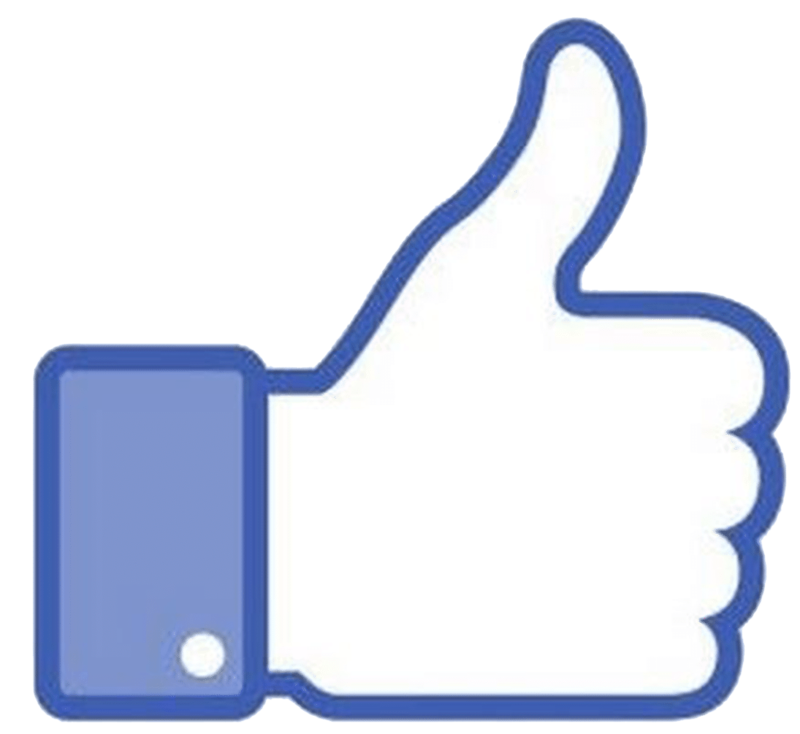 It’s a good idea for your student to follow news outlets. Reading and listening to news outlets with various points of view helps your young journalist learn to filter the facts. Try this: have your child read an article about the same event from two different news sources, both liberal and conservative. Compare and contrast the information. What facts are used? Do both sources use the same fact? Are the facts stated differently to put a spin on them? Are there facts that can be verified through original sources? History: To have a good perspective, even though news reporting is generally about current information, a solid background in history is important as well. It puts current events into context. Online writing and desktop publishing skills: Many popular news sources are now exclusively online. Often a reporter must write articles directly onto a website platform. Have your student create and maintain a simple blog to learn some of the basics of website writing. Reading: A writer must read with excellent comprehension skills and be able to quickly scan for pertinent information. A good writer, no matter the genre, is a prolific reader. Not so bad, right? You are already teaching many of the above skills without even thinking of it in the context of journalism. Need more ideas for helping your budding writer embrace journalism? Write letters to the editor of your hometown paper. Submit articles for local magazines and newspapers as well as online sites geared toward teens. Ask if your child can shadow a news reporter for a day or two to see how the job is done. Develop a list of 20 questions and interview the reporter at the end of the time. Write a news article about the shadowing. Invite a core group of other young writers to join you in creating an online or hard copy newsletter for homeschoolers in your area. Ask folks to submit article ideas about interesting topics in your homeschool community. Send out reporters to follow the story and conduct interviews. BAM! You have a small journalism class in progress. No real homeschool community nearby? What family or church doesn’t need a newsletter? Apply that idea to the ideas in #4 above and you still have a great journalism project under way. Still think teaching journalism at home is beyond your reach? Yea. We didn’t think so! To learn even more helpful homeschooling tools, click here to sign up for the newsletter. Do you want more articles on a wide range of topics like discipleship, academics, family, encouragement and general homeschooling? Just click here to search the vast blog library! Attending a Teach Them Diligently Convention in 2019 is one change that is guaranteed to help your homeschool– and bless your family! We hope you will make that a priority! Watch the video for more information! As children grow and start to make choices, they learn that people, things, and money have value. These concepts form the foundation for understanding the importance of spending, sharing, and saving. In other words, it’s never to early to understand money. At Evangelical Christian Credit Union (ECCU), we couldn’t agree more. Our conviction is that earlier is better to begin developing not only an understanding of money, but also the biblical values of generosity and stewardship. 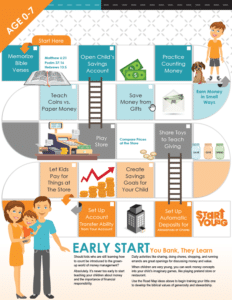 It’s why we created Start Young Savings and Spending Accounts and the FREE Start Young Road Map: A Guide for Training Financially Responsible Kids to help you get started. And because this is for you and your kids, the digital guide is designed to capture and keep their attention as they learn. 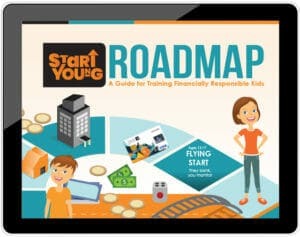 The fun, free and downloadable Start Young Road Map includes money management ideas for kids ages 0-7. The digital guide is packed with practical ideas that you can use in everyday life to introduce your kids to a foundation of concepts to earn, give, save and spend. 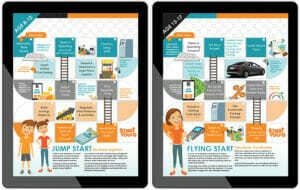 And the Start Young Road Map is just the beginning, as it helps to get your creative juices flowing. For example, here’s another idea inspired from the guide. To get your kids excited about vacation and make saving fun, create a “Vacation Fun Fund” jar that everyone in the family can add to during the year and cash in at vacation time. You can also work money concepts into your kids’ imaginary games, like playing pretend restaurant or store. The ideas are endless. And, if you have kids of various ages you want to train to handle money more wisely, there’s a portion of Start Young Road Map dedicated to pre-teens and a section for teens as well. 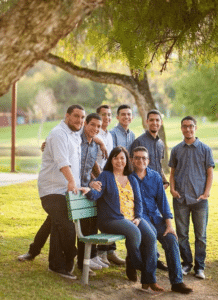 In 28 years of marriage, Rachel Soto and her husband David have welcomed six sons into their family. Those boys gave her 15 years of homeschool experience; she taught them through high school. With the boys off to college or on their own now, she returned to work at Evangelical Christian Credit Union (ECCU). When she’s not working, she enjoys cooking, reading, coffee dates with friends and even an occasional nap. Looking for more great articles about teaching your children how to manage and steward their money? Check out Pizza Prepares Kids To Make Sense Of Money, To Build Kid’s Money Handling Habits, Start Young, and Common Sense Savings Skills That Aren’t So Common on the Teach Them Diligently Blog. Leslie Nunnery and her husband David founded Teach Them Diligently, the nation’s premier source for gospel-centered homeschool events. 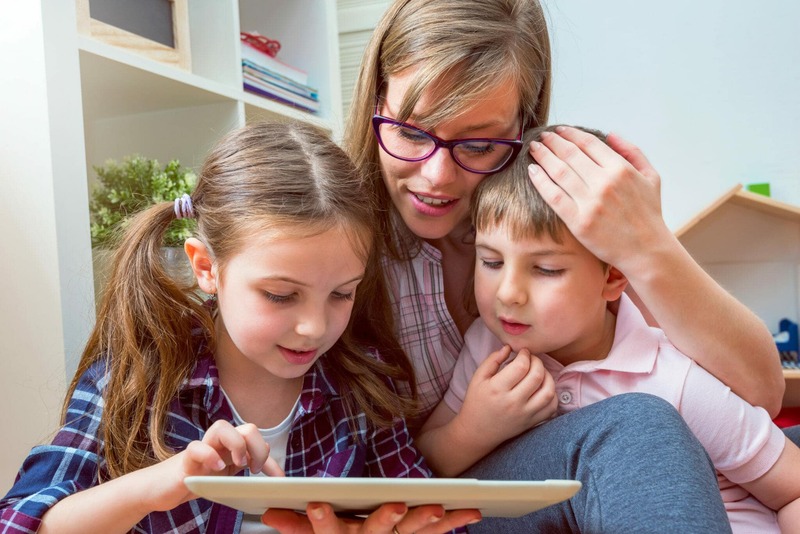 With seven years of homeschooling experience from preschool-high school and a passion to encourage and equip homeschool families, this mom of 4 shares her know-how and insights weekly through Teach Them Diligently media and on TeachThemDiligently365.com.